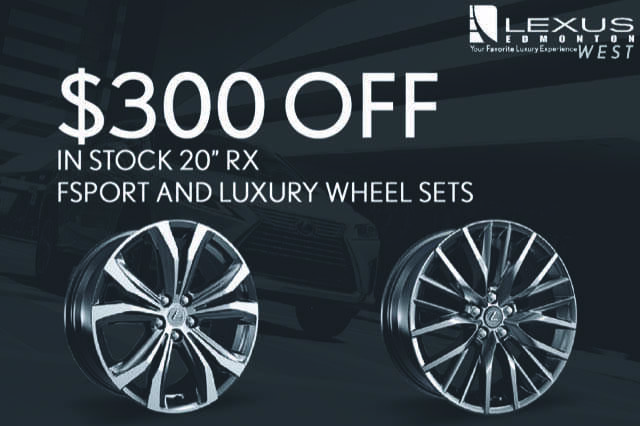 For a limited time only, Receive $300 Off In Stock 20 Inch Lexus RX Wheel Sets. Limited supply, no rainchecks and only available at Lexus of Edmonton West. Offer expires Dec 15, 2017. Fill out the form below and we will be in contact with you shortly!